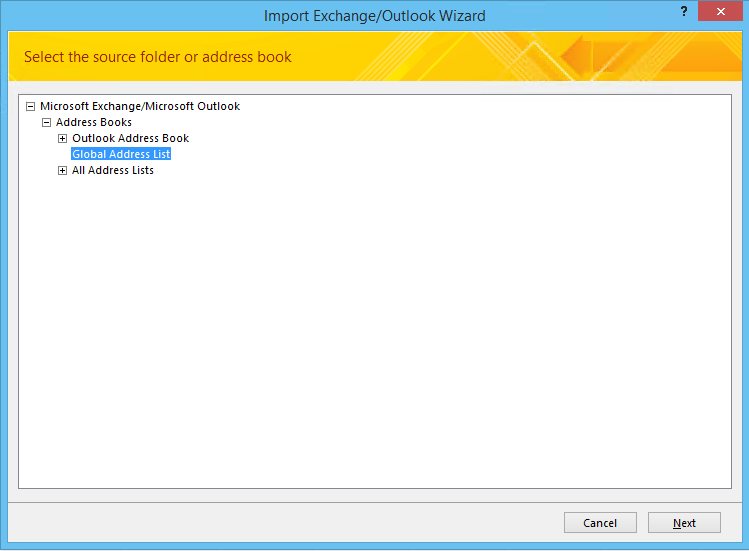 In some migration scenarios it is necessary to export all legacyExchangeDN addresses from your Exchange environment. This is for example the case if you are doing a mail migration with .pst files. If you are migrating from a Hosted Exchange environment this information can sometimes be hard to get. However, there are solutions. 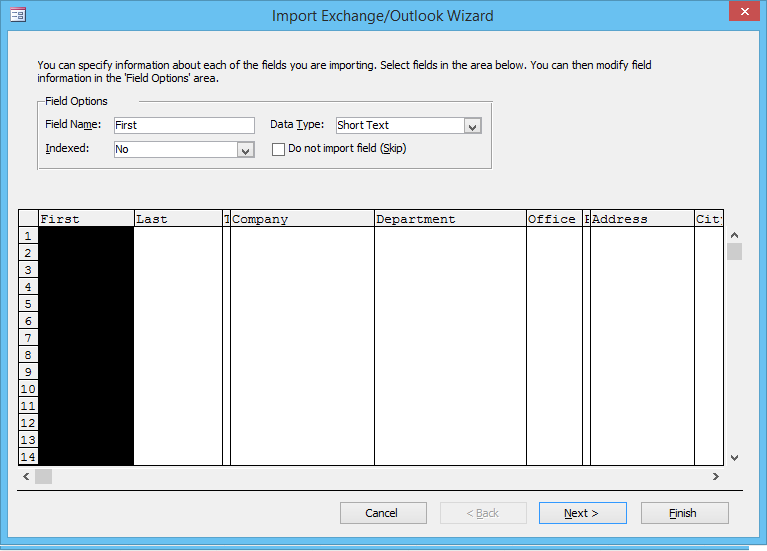 It is quite easy to export all legacyExchangeDN addresses from the Global Address List using Access and Outlook on a client that is connected to the Exchange environment. 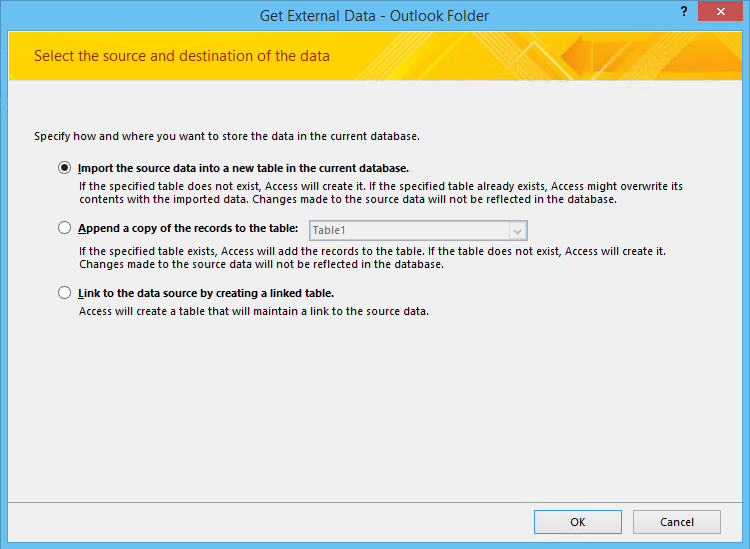 Start by opening Access and create a new empty database. Now select the address list to export from, in this case I select the Global Address List to get all addresses. In the next step it is possible to adjust the data, just click Finish. Now it is easy to add these addresses as a x500 alias addresses in your migrated mailboxes. 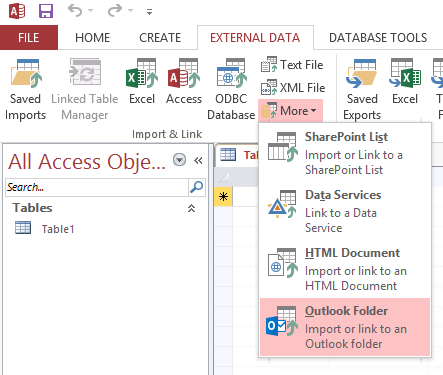 This entry was posted in Exchange Online, Windows Client and tagged access, export, GAL, global address list, legacyExchangeDN, OAB, outlook on January 20, 2015 by Andreas Lindahl.